Flying under the VC radar, stealth Canadian freight automation startup Freightera expands coverage to most Canadian and US communities, now serving 2.5 billion LTL, truckload and rail lanes to over 1,000 industrial shippers, with ambitious plans to reduce emissions from trucking and to unify the disjointed transportation industry. Vancouver, BC November 5, 2015. Freightera, the Vancouver-based online freight marketplace, is gaining momentum, bringing online and automating an average of 140 million lanes per month in Canada, the US and cross-border markets. 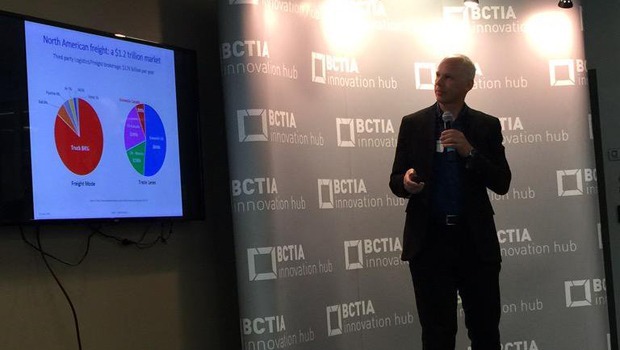 Freightera’s rapid growth has been recognized by the BC Technology Industry Association, which selected Freightera for their HyperGrowth accelerator program among the most promising BC tech startups to transform their industries. Traditional freight, consisting of hundreds of thousands of trucking companies, has been largely untouched by online automation. It is slow, costly and inconvenient for most shippers. It routinely takes hours and days just to get quotes from carriers or brokers. Freightera’s quotes are instant, Expedia-like. It also adds a layer of protection. Quotes are all-inclusive. Shippers that could get surprise surcharges working with trucking companies directly are protected by Freightera. There is never a surprise bill. Freightera makes shipping as easy as booking a flight online, and customers love that convenience. 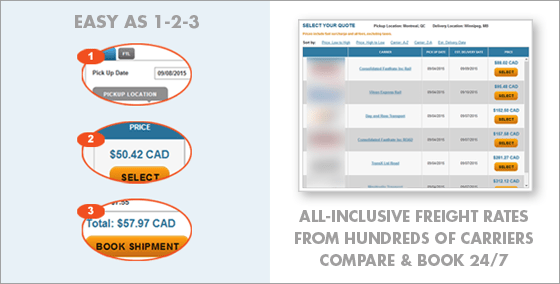 Manufacturers, distributors, and wholesalers are booking repeat shipments on Freightera 24/7. Freightera’s mission doesn’t stop with freight automation, however. Freight transportation is one of the most polluting industries in the world, and Freightera’s founders are committed to reducing greenhouse gas emissions. Freightera’s first step is to get all possible long-haul freight moved by rail. Rail generally emits 65% less carbon dioxide than trucks, and costs about 60% less. Long-haul rail rates are already available on Freightera, with seamless last mile pickup and delivery by truck. Vancouver-based technology company Freightera offers the only B2B online freight marketplace in North America with instant freight quotes from hundreds of carriers of all sizes and one-click bookings, serving manufacturers, wholesalers, distributors and other businesses that need a consistently best-priced, simple, and hassle-free shipping solution in a time of increasing stress and information overload. Visit www.freightera.com to register and get unlimited free access.